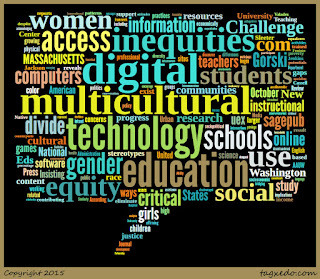 Summary: Gorski argues for equity and social justice at the center of discussions with multicultural education and computer technologies in this essay. Using a multicultural education framework coupled with critical analysis, he illustrates the need for systematic and equitable education and resources for instructional technology. Gorski challenges the idea of computers and internet as equalizers, identifies ways in which computers and technology reinforce inequities, and shifts the dialogue from physical access to social, cultural and political access and what that would mean for those previously with limited or no access. He examines different practices and biases in teachers and education that reinforce the different divides (racial, gender, linguistic, ability). He highlights specific actions for people committed to addressing multicultural education and substantive access. 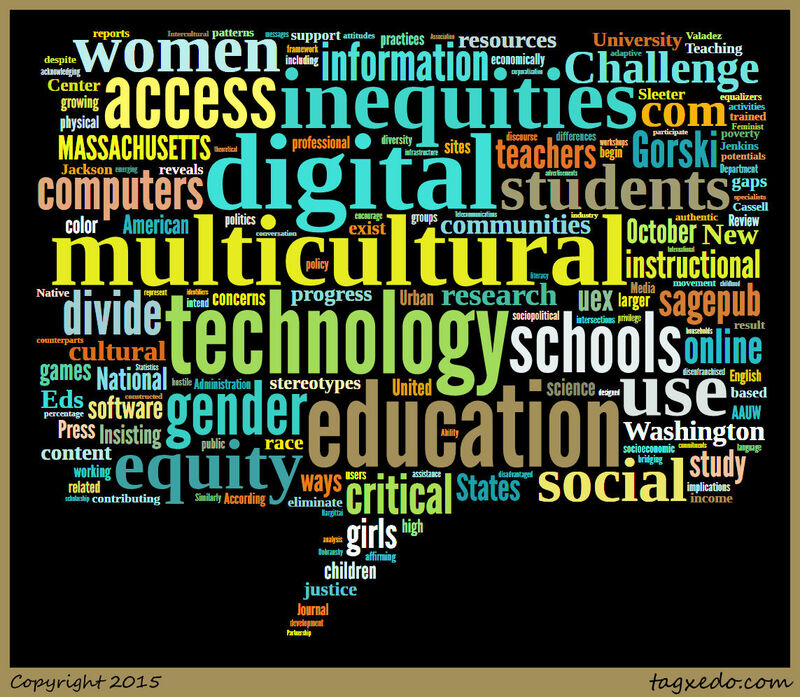 These include regularly acknowledging digital inequities in dialogues about multicultural education and technology, advocating for computers and Internet access in education until there is equal access, recognizing digital inequalities as systematic issues, pushing for cost improvements for educational technology and training, requesting instructional technologists in every school, refusing to endorse popular websites until they are more equitable, remaining critical of arguments claiming technological process will create social, cultural, and human progress, and continually asking how the technologies can better secure equity and social justice in education.